EDINBURG — A man who fatally shot his wife and mother-in-law this past summer and then confessed to the murder on Facebook Live, pleaded guilty Monday as part of a plea deal. In exchange, Alvaro Medrano, 47, was sentenced to life in prison with the possibility of parole. His charge was also dropped from the indicted charge of capital murder, which carried a life sentence without the possibility of parole, to the lesser included offense of murder. Medrano will be parole eligible after serving at least 30 years of his sentence. 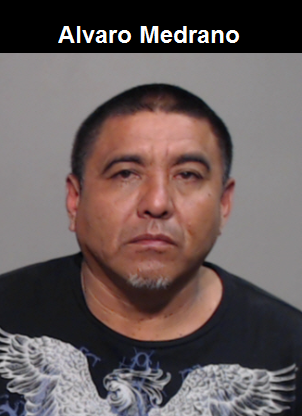 In addition to his confession on social media, Medrano also confessed to investigators to shooting Olga Espinosa, 30, and her mother Irene Espinosa, 52, on Aug. 8 in rural Edinburg during a domestic dispute. Because Medrano is not a U.S. citizen, he will be deported to Mexico upon being granted parole.